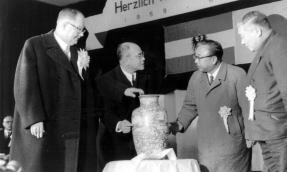 In 1956, a diplomat from the Austrian Government visited Kurashiki on the invitation of Mr. Soichiro Ohara, the President of the Kurashiki Rayon Company and tee Chairperson of the Japan-Austria Association. 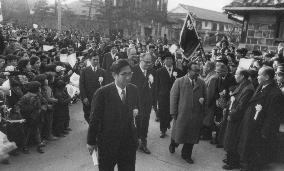 A meeting with Mr. Isao Takahashi, the then Mayor of Kurashiki, was arranged in which Mayor Takahashi expressed Kurashiki's desire to establish some kind of friendly relationship with an Austrian city. 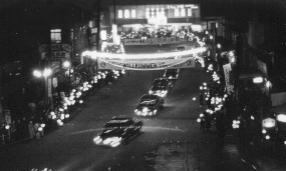 In May of 1957, Kurashiki received an official letter from the Mayor of St. Polten proposing the establishment of friendly relations. In June of the same year, the Kurashiki City Council voted to officially establish an official sister city relationship with St. Polten. On September 29, Kurashiki welcomed an delegation from St. Polten and held an official signing ceremony at Kurashiki Seiryo High School that was attended by around 650 people. 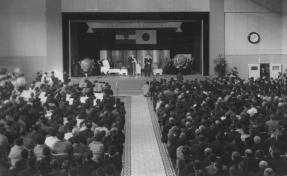 Thus, the Kurashiki-St.Polten sister city relationship, not only became just the 5th sister city relationship that had ever been established between a Japanese city and an international city, it was also became the 1st sister city relationship that was established between a Japanese and an European city. 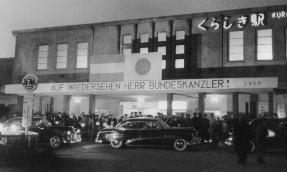 In January of 1959, the Austrian Premier visited Kurashiki. The Premier was made an honorary citizen of Kurashiki at an official ceremony held in the gymnasium of Kurashiki Suisho High School. 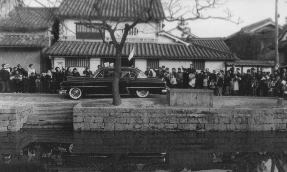 A parade through the center of the city was also held in his honor. 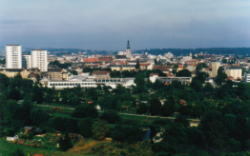 The region's climate is typical for that part of Europe. Daytime and nighttime temptures can vary greatly. It can get quite hot during the summer and usually there is a lot of snow during the winter. Around 1860, an international railroad network was established in Europe and later major roadways also were established in the area. 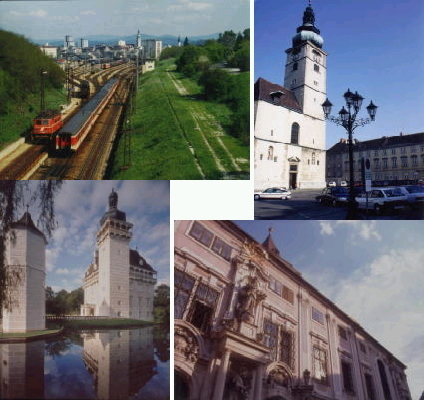 St. Polten soon became a major transportation hub that was connected to all of the regions of Austria as well as all of the main cities of Europe. From the beginning of the 20th St. Polten began to develop as a center for manufacturing. The machinary, textile, paper and the office equipment manufacturing industries as just some of areas that became the background of the city's economy. 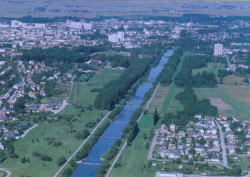 Present day St.Polten serves as the administrative center for the surrounding regions. The City's main hospital also serves as the main provider of health and medical services for approximately 500,000 people in the region. 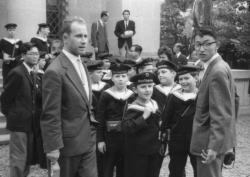 From the very young to the very old, St. Polten offers a variety of health and welfare services. 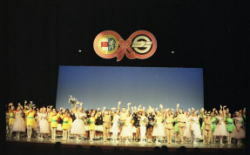 Over the years, various official sister city exchanges celebrating the friendship shared by the people of both cities have been held. These include exchanges of delegations from the various sports, culture and music groups. 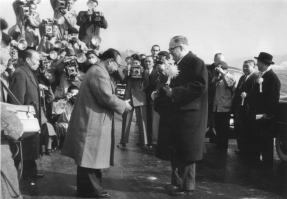 ▲Fifth Anniversary Celebration, November 1961. 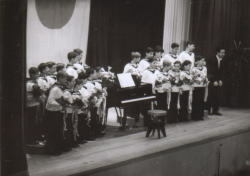 Members of the Vienna Youth Chorus visit Kurashiki and perform a commemorative concert. ▲August 1994. St. Polten Youth Ballet Company performs in Kurashiki. ▲June 2003. 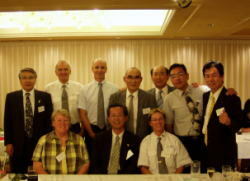 Delegation of Judoka from the St. Polten Area visit Kurashiki.